For years, global digital copyright treaties and the IP provisions of assorted "free trade" agreements have been drafted in secret by proprietary content industries. Even the digital copyright laws of ostensibly independent countries are drafted by lobbyists from those same industries, then rubber-stamped by the national parliaments with most members never even having a chance to actually read them. For example, a large batch of diplomatic cables released by Wikileaks in April includes several on a massive effort by the global entertainment industry to model Canada's copyright laws on the Digital Millennium Copyright Act. Wikileaks also released hundreds of cables showing that U.S. content industries essentially wrote New Zealand's "three-strikes" legislation―and the U.S. government even offered to fund New Zealand's copyright enforcement police at American taxpayer expense. 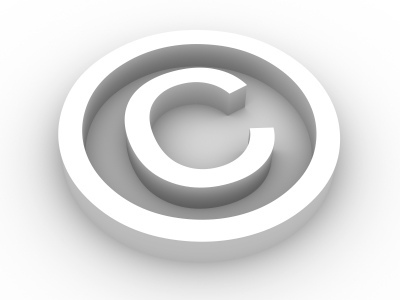 Spain's new copyright law was also written by global entertainment industry lobbyists. The old Spanish law, incidentally, was comparatively sane, with private file-sharing for personal use covered by the "fair use" doctrine and third parties like ISPs and torrent sites treated as safe harbors. As a result Spain, like Canada, made it onto the U.S. copyright cops' "Special 301" list of the "worst of the worst" offenders. In cables released by Wikileaks on the negotiation of ACTA, support for the treaty by such countries as Russia and China was treated as a gauge of "free market" friendliness of those countries, to be used as a stick in negotiations over other trade provisions desired by those countries. Against this background of secrecy and corruption, it's interesting that the major developed countries previously involved in drafting digital copyright treaties are now squealing like stuck pigs about a proposal by developing nations to hold their own private inter-regional conferences on IP laws within the World Intellectual Property Organization framework. In response to complaints from the developed countries, the developing countries proposed making only the first conference private and allowing the developed countries to attend a second one with non-voting "observer status." No dice, said the rich fat white boys. "No meeting should be restricted to only some members" (seriously!). One law for the lion and one for the lamb is tyranny. "In the days of gunboat diplomacy, colonial regimes depended on the puppet governments of their protectorates to enforce the extraterritorial rights of their nationals and corporations against the local population. Corporations are just as dependent today on governments to suppress competition at gunpoint and externalize their operating costs." One recurring theme in most discussion of corporate globalization is the importance of the state in the global economy. It's commonly argued that the transnational corporation has eclipsed the nation-state as the dominant actor, and that hollowed-out states are no longer capable of restraining corporate tyranny. But the truth is just the opposite: Corporations can't afford to enforce, at their own expense, the monopolies and artificial property rights on which they collect rents and tribute. Absent a state to enforce copyrights and patents, and to externalize those enforcement costs on taxpayers, proprietary content companies and manufacturers would bleed themselves dry. And without the U.S. Navy to keep the sea lanes open at general taxpayer expense, and without the World Bank and U.S. foreign aid budget to subsidize the road and utility infrastructure Western-owned factories need to be profitable in the Third World, offshoring would be a lot less popular. In the days of gunboat diplomacy, colonial regimes depended on the puppet governments of their protectorates to enforce the extraterritorial rights of their nationals and corporations against the local population. Corporations are just as dependent today on governments to suppress competition at gunpoint and externalize their operating costs. Likewise, the corporate world order depends for the enforcement of its centrally important "intellectual property" rights on a "DRM Curtain," enforced by the satellite states of the U.S. and the Washington Consensus. If states defect from this global corporate order, or if their populations simply render the law unenforceable, global corporations will shrivel like garden slugs covered with salt. Global corporate power, and the authoritarian information order on which it depends, cannot survive in a freed market.